I'm back to the hamsas. I enlarged some and put them together on two sheets. 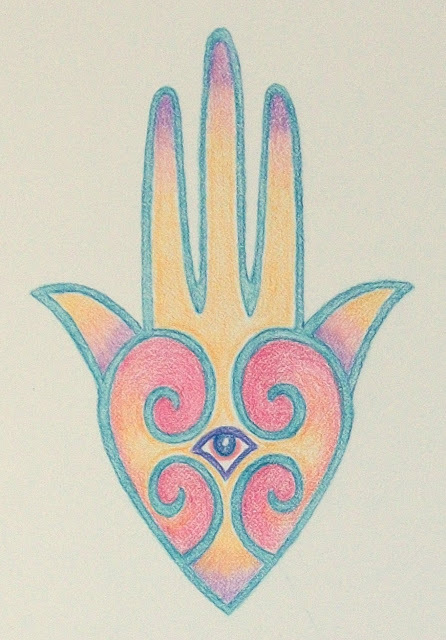 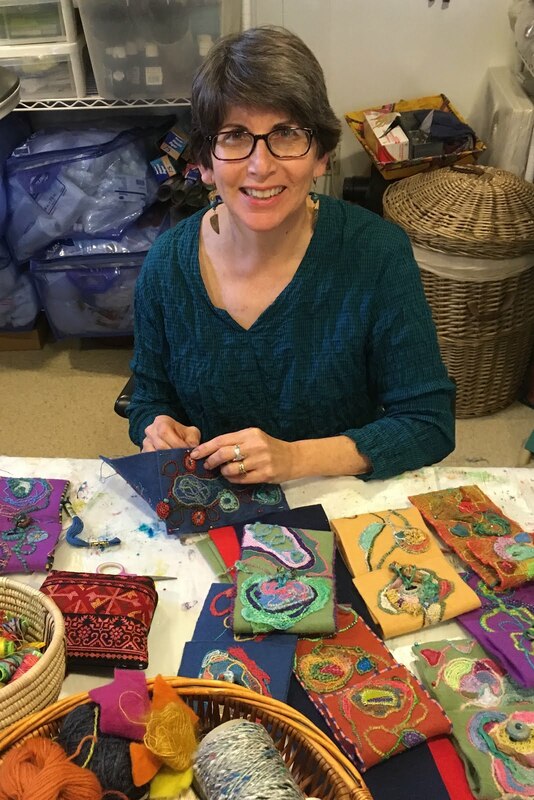 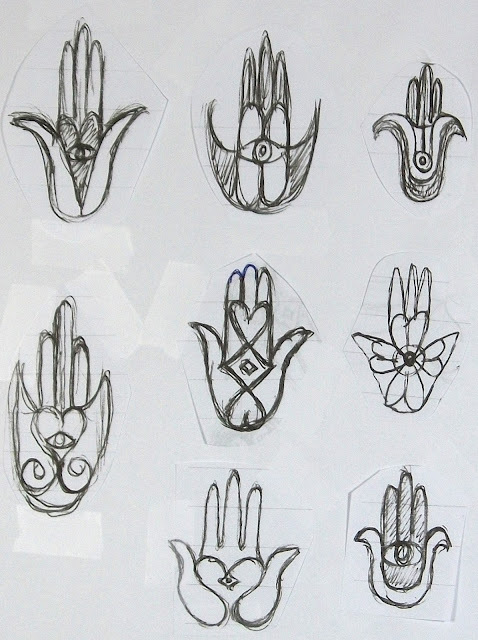 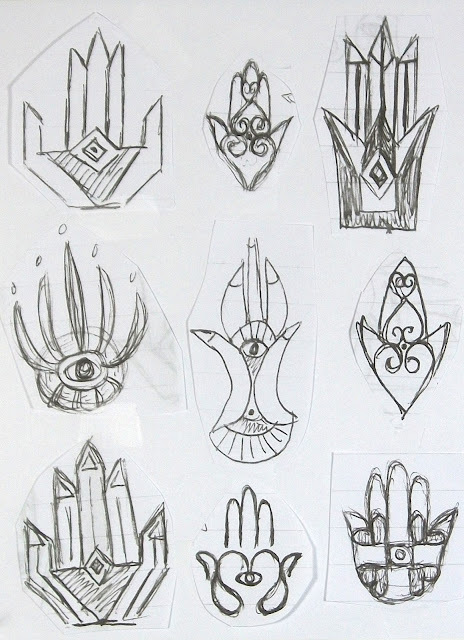 Then, I enlarged them again so I could try working on some new hamsa designs between my two Wednesday classes. 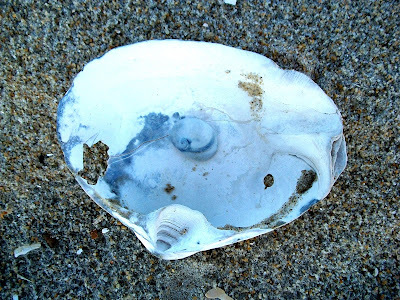 I'm hoping to see my friend tomorrow to give her her hamsa along with some shells, beach glass and a few photos from my Virginia Beach weekend.